Wheels squeal as chairs collide and the sound of metal crashing on metal fills the room. People buzz up and down the court, a blur of hardwood and rubber. Bodies twist in one direction, the chair in another. Prior to an accident at eighteen years of age, Alison was a jumper: high jump, long jump, triple jump. She competed in the United States. But after breaking her back in two places, she was told she would never walk again. The accident happened just three days before the start of the second year of her Bachelor of Education degree. Because of the nature of her injuries, she wasn’t able to complete her requirements to graduate. 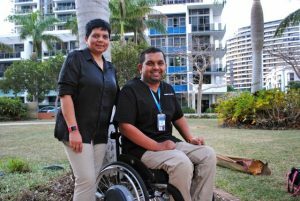 “At the time, the lecturers had no idea what to do with this student that came into their classes on crutches some days and other days in a wheelchair,” she says. 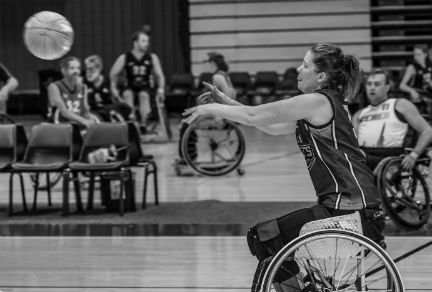 Alison Mosely discusses her introduction to the sport of Wheelchair Basketball following her accident. 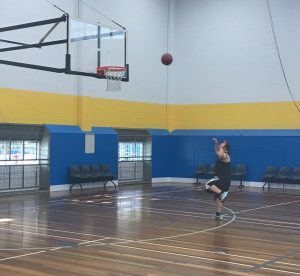 After eventually completing her degree and securing a job, the desire to play sport lead to an alternate avenue. 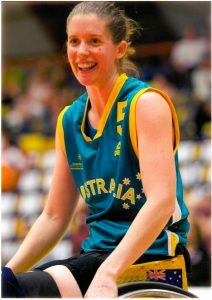 A short eighteen months later, she represented Australia at the Paralympic Games. 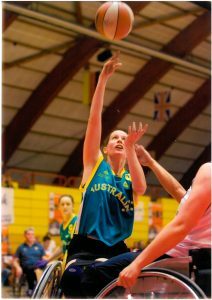 Alison Mosely at the 2006 Gold Cup, a Women’s World Championship tournament. Photo credit: F. Nelissen 2006. Alison was immersed in the top level of the sport, at the time largely because of the sheer lack of participants. That was in ’96. 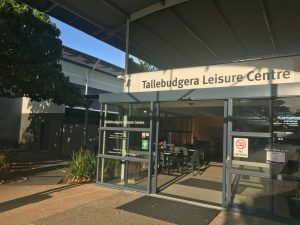 But fast track to the 2000 Paralympics, which were filtering into homes all over Australia, from there, conversation buzzed and awareness increased at a grassroots level. There was more demand getting placed at a local club. 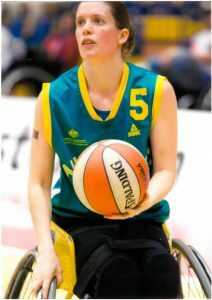 Alison playing for Queensland Comets in the Women’s National Wheelchair Basketball League. Photo credit: Joep Buijs Photography & Sporting Wheelies and Disabled Association. 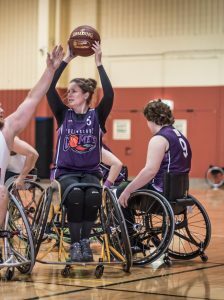 Sporting Wheelies and Disabled Association Community Engagement and Education Manager Jenny Frowd says sport creates benefits for both people with a disability and the broader sporting community. “The obvious benefits that we often think about are physical, so allowing an athlete or enabling an athlete with a disability to maintain their maximum functional ability, but there’s also the psycho-social and emotional benefits of being involved in sport,” she says. 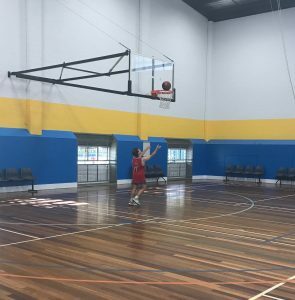 A sporting outlet enables people with a disability to show they can make their own choices in life and achieve to high levels. This is often a place they can show their true potential to the wider community. Ms Frowd says anyone in the Queensland community can choose to make social networks, have a valued role and achieve goals through sport. 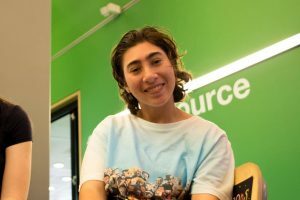 “For a person with a disability, that could also include things like reducing social isolation, giving them the chance to achieve in a way that they may not have thought possible, either from their own expectations or from expectations that were put on them by society,” she says. 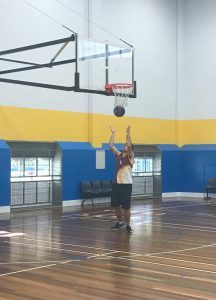 Mixed-disability basketball training session at Tallebudgera Leisure Centre. Photo Credit: Jamie-Lee Rowley. 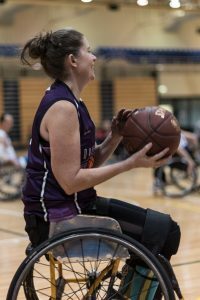 Sporting Wheelies and Disabled Association teach inclusion in sport through a workshop program that considers inclusion as spectrum. 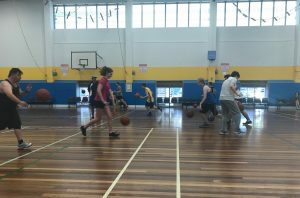 Any marginalised group in the community can be included through sport in a number of different ways. Participants with a range of different disabilities form a team, practicing teamwork and coordination skills. Photo Credit: Jamie-Lee Rowley. 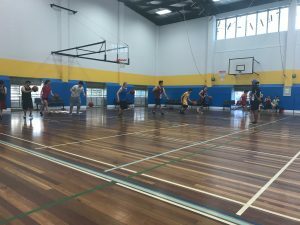 One of the options is to have people with a disability participating in sport that is specific for people with a disability and the term for that in Australia is disability sport, or para-sport. That goes right from a grassroots level, all the way up to International level, at the Paralympics or World Games. There are many other ways people with a disability can be included across that spectrum. 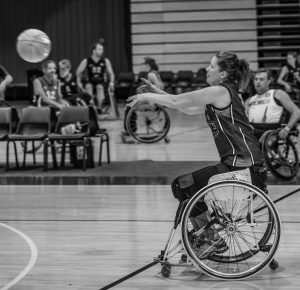 One is to have a sport that was designed for people with a disability – for example, wheelchair basketball – and including people without a disability in teams playing alongside people with a disability. “We call that reverse inclusion. 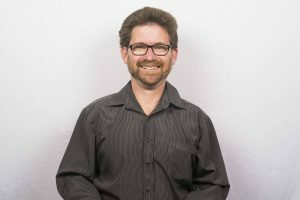 So that’s getting people without a disability, or people who are able-bodied is often a way it’s described, a chance to understand some of the challenges or barriers that are faced by people with a disability playing sport, but also gives them a chance to compete against athletes with a disability who may well be a lot better than them at that sport in that environment,” Ms Frowd says.